In the meantime the speed of change is so high that several cycles take place within a lifetime – different political systems; or remember shellac, vinyl, CD, Blu-Ray, mp3; or the fire place, gas, oil, geothermal, solar heating. In the working world, workers have made a living for a long time within the industry and the resulting mass production. And suddenly machines take over the simple tasks. Or think about the cabmen, who eventually had to accept that they no longer needed to feed their vehicle, but to refuel. 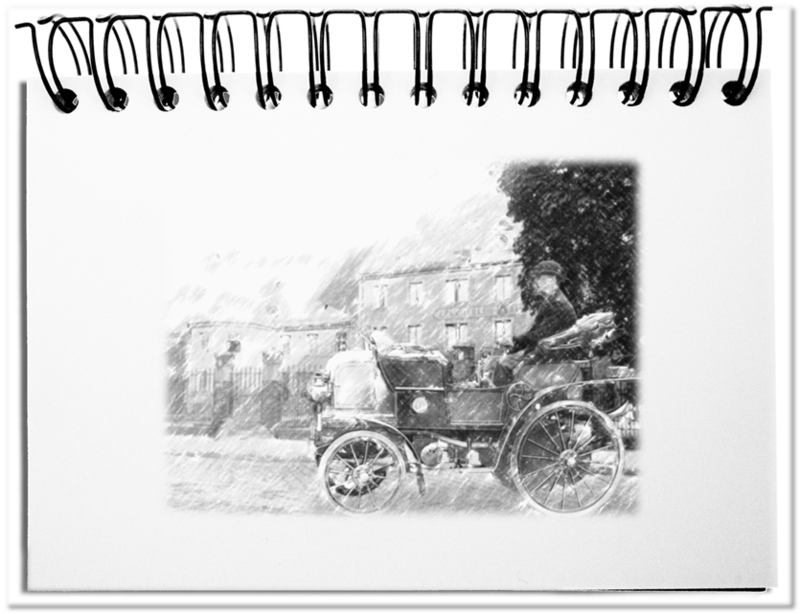 Although this did not mean that coachmen have completely disappeared, but today they only fill a niche in tourism. Everyone is talking about disruption. That sounds fancier and not as threatening as destruction. But the meant change is anything but sudden, volatile or unexpected – albeit disturbing and ripping. Even the small improvements that take place over the years lead to a profound change over time. What options are there for dealing with change? The most passive reaction is to stick your head in the sand and to wait the change passes unnoticed. You are loosing valuable time that you could use to re-position yourself. This approach is believed to be the legacy of the early days of the biosphere, when fear threw somebody into paralysis and one could hope to survive despite the thread. Nowadays, this is the worst possible reaction to respond to menacing innovations. The changes in the world of work do not pass by, but they roll over you. In any case, one of the following approaches is better. Also in this case it is a matter of passive action. It’s like fighting against the current in a rowboat – as soon as you stop rowing, you’re drifting off. You lose all control of where to end up. The accompanying shrugging of the shoulders and blaming are a typical reaction when somebody is thrown off track. Only those who continue to row have a chance to dominate their destiny. Such a fate is bad. However, it’s just one of the many risks you face in everyday life – accidents, illnesses, losses of all kinds. It is smarter to use the opportunities offered to find your new track. In any case, one of the following approaches is better. If you are confronted with drastic change, it is not immediately clear, whether it is a conclusive disruption. Nevertheless, most people start resisting – some do not understand, what is happening; others do not know, how to react to it; some do not accept the new on principle or for other reasons; and sometimes they are not even allowed to follow. Almost all changes also affect the decision makers who initiated the transformation. The frontline is not between the decision makers and the affected people, but between yesterday and tomorrow. Much more effective is constructively dealing with the new – What is actually changing? What is being replaced? What do you lose? What do you win? What can you contribute? What does that mean for you? The transition rarely takes place abruptly – with a reason why the word disruptive unnecessarily frightens. All changes need their time. The phone took over sixty years to be installed in 80% of the households in the US. Even if the computer took only about ten years, these are still ten years, in which one could adjust to the new possibilities of networking – using existing skills in a new way; realign; learn the new. In any case, the past shows that development is unstoppable. Even if it sounds banal, the only thing that is constant is the change. There is nothing left for us to do but to continually adapt. Bottom line: The cabmen had suddenly no horses and had to deal with a new technology. At the same time, they were able to reuse their core competencies – local knowledge; dealing with customers; waiting patiently for a load. When the tsunami of the turnaround reaches you, the worst reaction is putting the head in the sand and the second worst to resign to your fate. The fight is an active, even so destructive action. It is best to face change and seek your place on the new wave – even if you follow the familiar into the niche. Dieser Beitrag wurde am August 11, 2018 von memecon in Change management, English veröffentlicht. Schlagworte: Familiar, Fighting, Head-in-the-sand, Resign to your fate, Toward new shores.